Visual art has become an increasingly important part of promoting West Virginia. West Virginia Explorer welcomes any and all submissions of images that will speak to our readers and that offer aesthetic pleasure. We prefer that you submit digital images via email as JPG files to editor@wvexplorer.com. 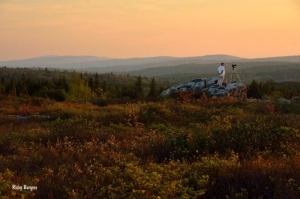 The photos we accept will be filed for possible future use in print, advertising, or on WVExplorer.com (the “Site”). Unfortunately, photos and disks cannot be returned. Digital photos must be high resolution and JPG files only. This means 300 dpi at the size to be used. We prefer photos as large as your camera can take them, so even with 5- or 8-megapixel cameras, shoot at the highest possible resolution. If you submit photos or other Content to us, you hereby grant West Virginia Explorer a non-exclusive, fully paid and royalty-free, transferable, sub-licensable, worldwide license to use all submitted photographs and other Content in their submitted form, subject to re-sizing or re-formatting to fit the magazine format, for publication on the West Virginia Explorer for as long as the website exists. By submitting a photo or other Content, you represent and warrant that Restaurant Business may publish such Content, use it as part of its operations, and incorporate its concepts in West Virginia Explorer products without liability or compensation to you. Please note that published pages West Virginia Explorer may remain available in archives for as long as the site exists. If an image or other Content is used, you hereby grant West Virginia Explorer permission to use it for promotion on social media and other websites such as Facebook and to put its logo on the image (if applicable). Photographs or other Content may not be submitted, downloaded, stored, printed, manipulated, distributed, or used in any form without prior written permission from the copyright holder. Works published on this Site are protected under domestic and international copyright laws and are not considered to be public domain. By submitting photos or other Content to our publication you are stipulating to us that you own the copyright to such Content or have permission from the copyright holder to submit such Content. Please note that third parties such as educational institutions, search engines, automated data aggregators, or individuals may download, save, store or archive this (or any other) website with or without our knowledge. West Virginia Explorer will have no control over such downloading and subsequent use, and you therefore agree that West Virginia Explorer is not liable or otherwise responsible for any such downloading or use. Any questions regarding these Photo Submission Guidelines should be directed to the editor: editor@wvexplorer.com.